Santhosh is a Senior General Manager in the Group Strategy Office at Mahindra & Mahindra Ltd, a $17B+ multinational group based in Mumbai, India. He is a Global business leader and Technology strategist with over 18 years of experience. In his current role, Santhosh leads the ‘Internet of Things(IoT)’ and ‘Analytics’ initiative and is responsible for driving ‘Digital Transformation’ across various business sectors within Mahindra. Prior to joining Mahindra, Santhosh was responsible for the ‘IoT Solutions’ and ‘Data & Analytics’ portfolio at Cisco in APJ. He was instrumental in growing the business and worked with several flagship customers across Automotive, Manufacturing, Logistics, Oil & Gas, Finance and Retail verticals. 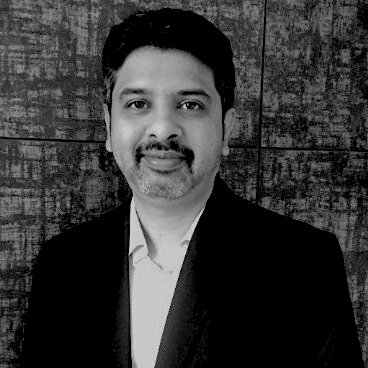 In his earlier role, Santhosh was responsible for driving the go-to-market strategy for innovative solutions such as Remote Expert, Workplace transformation, Remote healthcare and driving consulting engagement for Smart Cities including Songdo, DMIC, Iskandar and Kansas City. Prior to Cisco, Santhosh worked in the Silicon Valley for over 10 years. He holds a Bachelors and Masters in Computer Science and has an MBA from Haas School of Business, Berkeley, California.